Some outfits are hard to refuse and so this trendy yet jazzy outfit is. 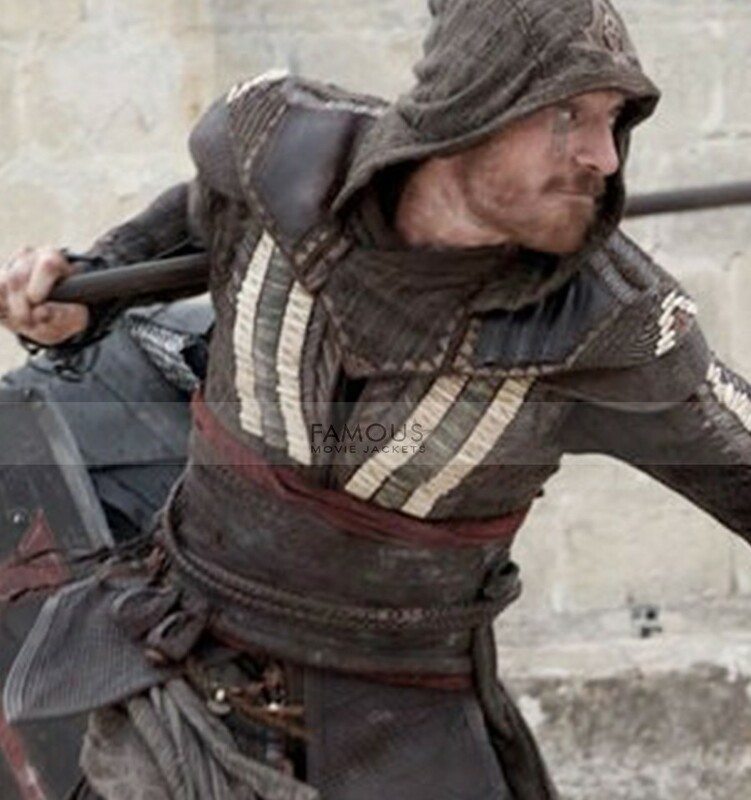 However, the inspirational long coat is taken from the video game based action movie of the same name Assassins Creed and is the costume of Michael Fassbender. 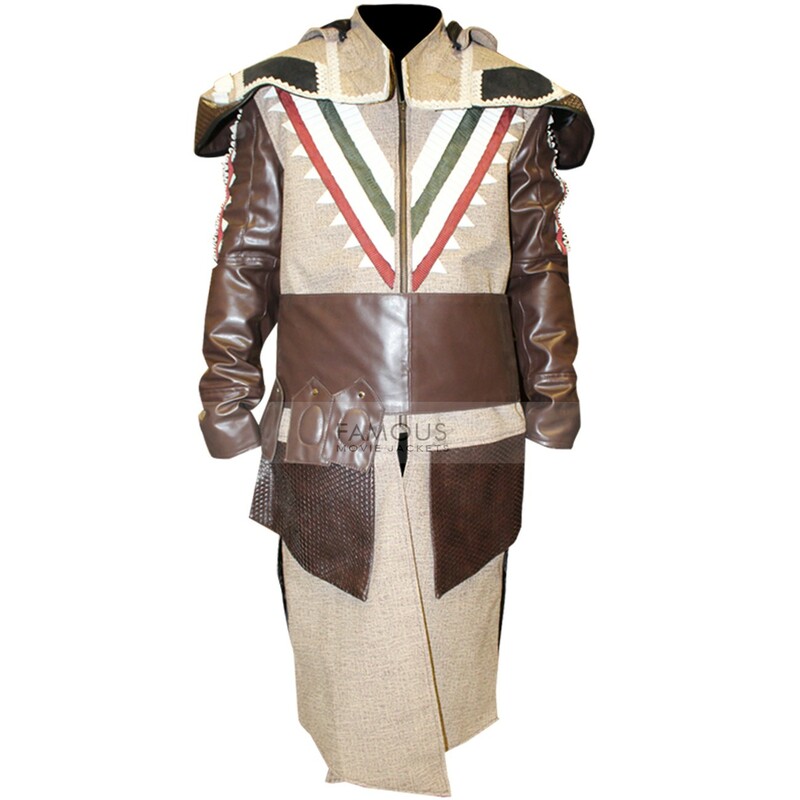 The jacket is the fine blend of cotton and leather. 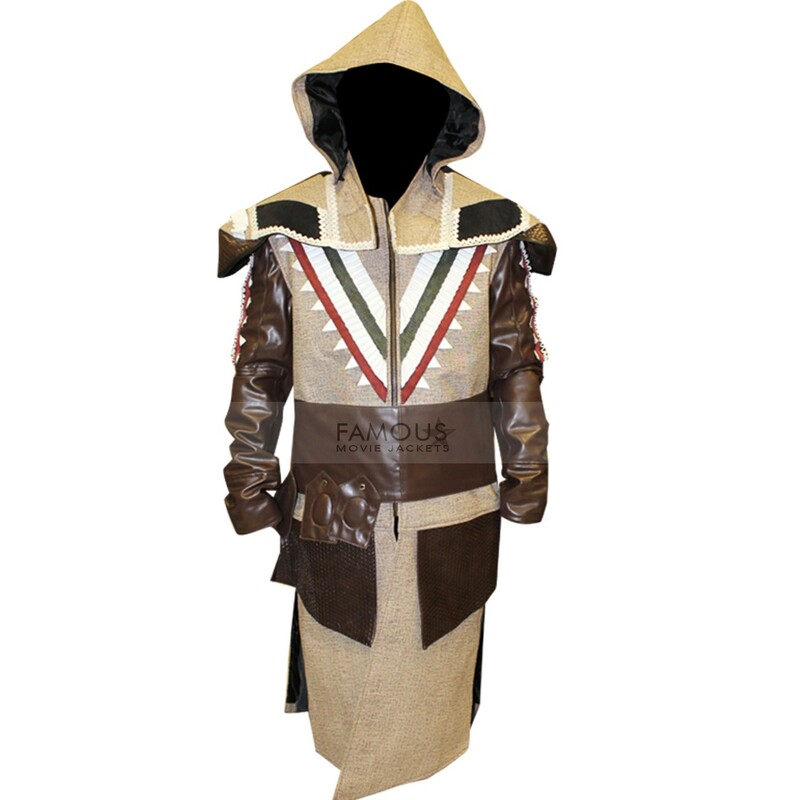 A must pick apparel for all game enthusiasts. The classy style and alluring color combination will make you stand out in all events. Ready to rock in a costume party? 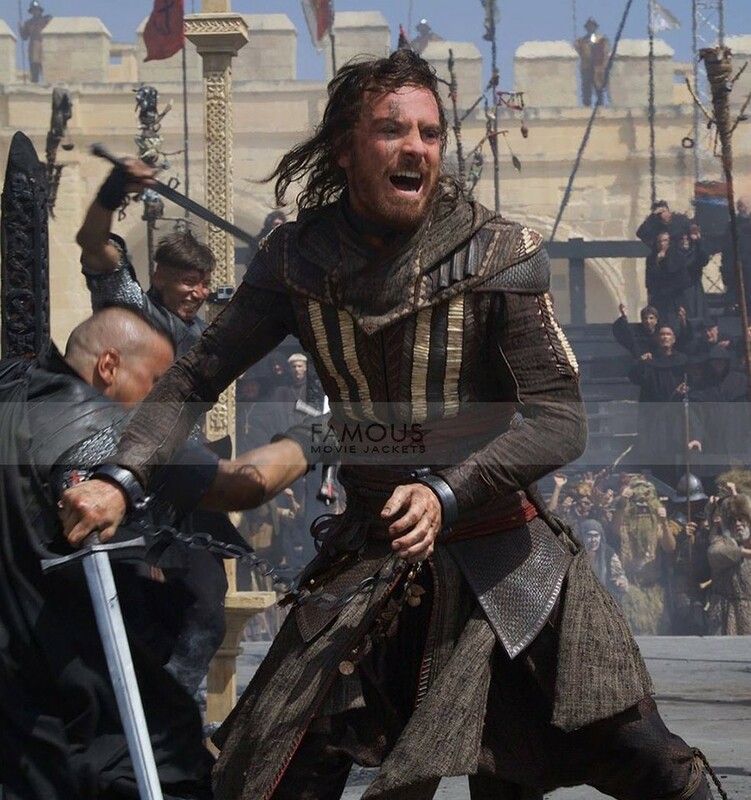 Then must consider the article in order to be prominent as the most stylish guy. 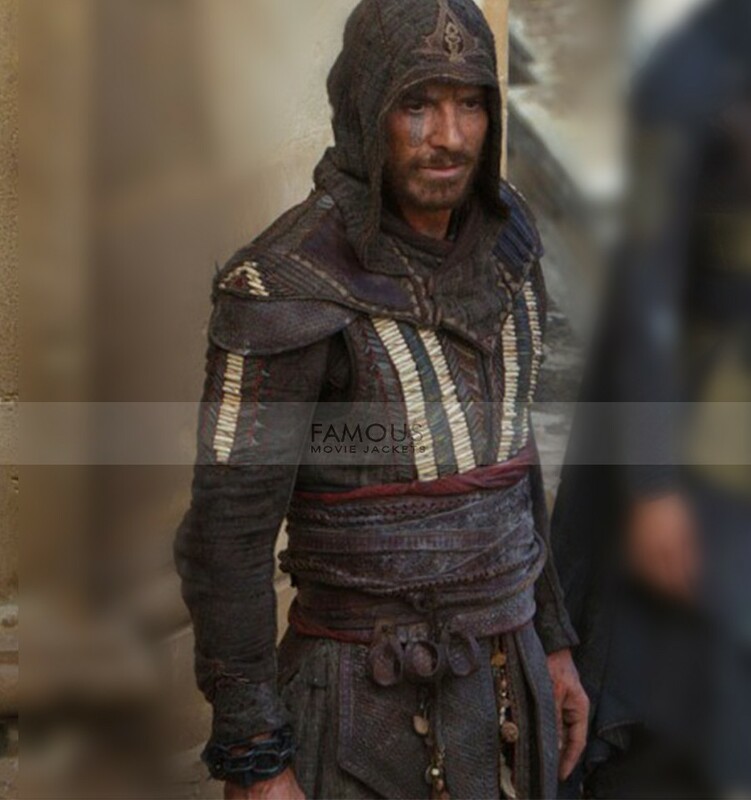 The cotton material is used on the body of this Assassin’s Creed Michael Fassbender Aguilar Leather Coat. 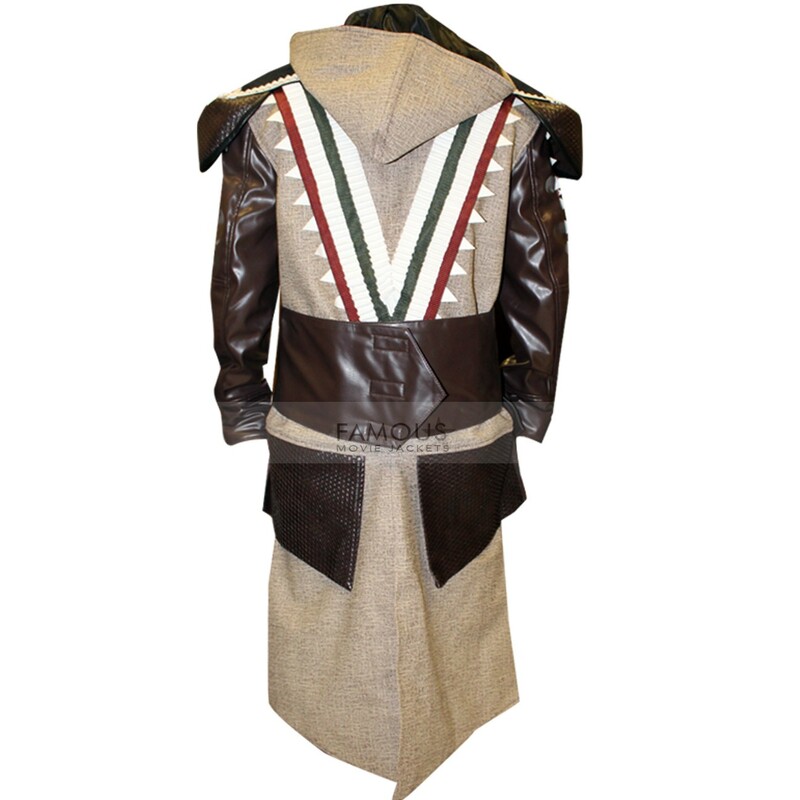 Front fastening zip closure and hoodie style are charming enough. 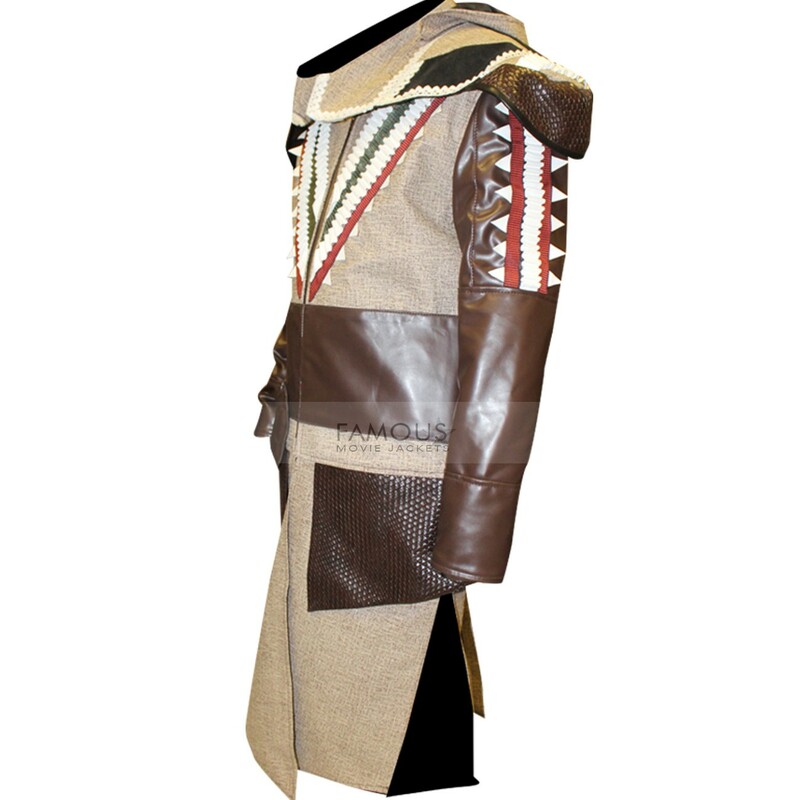 Moreover, leather sleeves in dark brown combination will take you to the altitude of style. Pick it now at best price! Pockets: Two Waistline Pockets Externally and Two Internal Pockets.